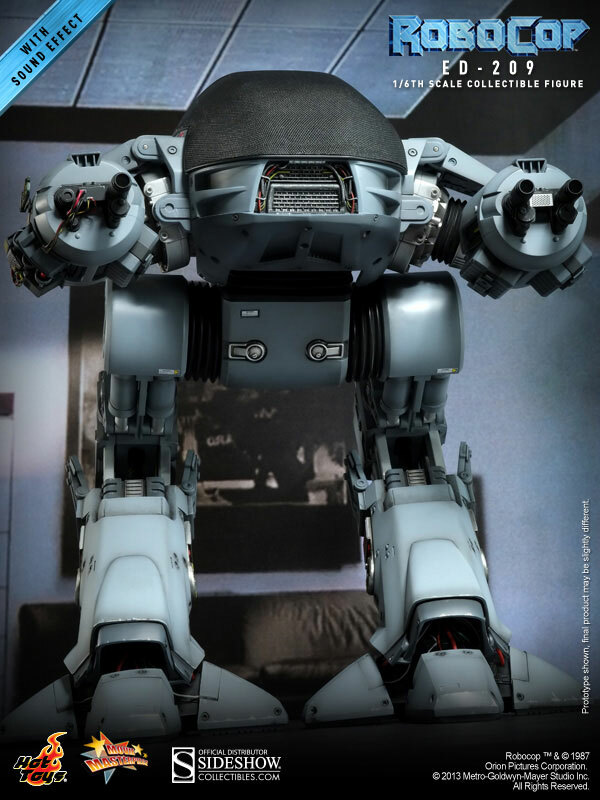 Sideshow Collectibles is proud to present Hot Toys' ED-209 Sixth Scale Figure, from the 1987 classic, Robocop. The movie-accurate ED-209 is highly detailed featuring a newly sculpted body, interchangeable battle damaged arm, and improved articulation in the arms, legs and claws to better simulate the enforcement droid's movements. The ED-209 MMS Sixth Scale Figure speaks three memorable quotes along with various sound effects from the film. © TM & © 1987 Orion Pictures Corporation.© 2013 Metro-Goldwyn-Mayer Studio Inc. All Rights Reserved.